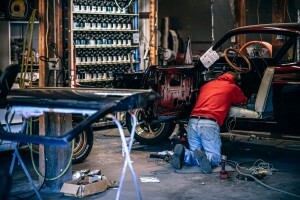 Most car problems can be avoided with some basic maintenance. Some often overlooked services can also extend your car’s life and help you avoid costly repairs. When you think about car maintenance, the basic things that come to mind are getting a synthetic oil change, replacing the oil filter, checking the tire pressure, and making sure the battery is full. However, some maintenance tasks are often overlooked even by the most careful and diligent drivers. Forgetting about these tasks can reduce your vehicle's performance and life expectancy. The air filter: Cars use several filters to maintain the systems clean. For example, there are two air filters present in your vehicle, one for your engine and one for your cabin. Since they are cheap, accessible, and not really visible, people often forget about them. Replacing them according to your owner’s manual will help extend your engine’s life and maintain the air in your cabin clean and breathable. The fuel system: About once or twice a year, you should clean your fuel system. Fuel gathers dirt, rust, and other contaminants which might turn into sludge and block the fuel’s flow. Your engine's power and fuel mileage can decrease if fuel can’t move properly. You can use AMSOIL’s Quickshot® to clean your fuel system. Just make sure to fill it back up with good quality gas to avoid dirty fuel. Flush the brake fluid: Your brakes are of utmost importance to your safety. As time passes, the brake fluid can begin to gather moisture. This moisture can lower the fluid’s boiling point, promote the formation of rust, and make your brakes feel spongy. Make sure to refill your brake fluid in between each annual brake checkup. You can get AMSOIL’s DOT 3 and DOT 4 Synthetic Brake Fluid at their online store or by contacting All Service Oil at (763) 257-3130 to get some recommendations and place your order. Wheel alignment: Improperly aligned wheels can cause problems with the suspension system and uneven wear on your tires. Not to mention that this can also void the warranty on your tires. You should ask your mechanic for a wheel alignment at least once a year, or more often if you regularly hit potholes or curbs. Service the cooling system: The cooling system is in charge of regulating the engine’s temperature and preventing corrosion. If the cooling system is not well-maintained, sludge and slime can form and block the radiator and other passages, causing the engine to overheat. You need to make sure that you have the proper level of coolant/ antifreeze and that you use a high-quality organic one like AMSOIL’s Low Toxicity Antifreeze and Engine Coolant. Service the air conditioning system: Typically the moment your air conditioning system breaks down is when you need it the most: in the cold of winter or during the blistering summer heat. Most problems with the AC system can easily be prevented. The system uses oils to lubricate the seals and moving parts. When the air conditioner is not used, the oils drain away from the places they need to be. All you need to do to prevent this is to make sure you turn on your AC for at least 15 minutes about once a month to keep those oils moving. You also need to replenish the fluids annually and check the system for any leaks. Check your lights: As your car ages it can start to discolor. At least that’s the case of the headlights’ casings. They can become yellow and dirty with age. You can find a chemical or polish to make your lights bright again. You should also check that other light sources in your car are fully functioning as well. Change the wipers: Unsurprisingly, people forget to replace their wipers and keep on using the same old, cracking ones hoping for clean windows. Changing the window wipers is easy. You can do it on your own. Not that you will forget about getting a synthetic oil change to keep your engine in top performance, but here's a reminder that you can get everything you need from AMSOIL. They have oil and oil filters for a high-quality synthetic oil change. You can purchase your supplies at their online store, where you can also find the other fluids your vehicle needs. You can also call All Service Oil at (763) 257-3130 to place your order.